Make sure your Pupillary Distance (PD) has been included in your prescription. Can't find your PD? Why can't I find my PD on my prescription? Looking for style advice on how to find a similar looking frame? Call us at 1-866-414-2326. Make sure you know how to safely insert and remove your contact lenses, and be sure of your wear schedule — whether it's a daily, weekly, biweekly, or monthly lens. Always speak with your eye care professional if you are unsure. Learn More about the types of contact lenses. 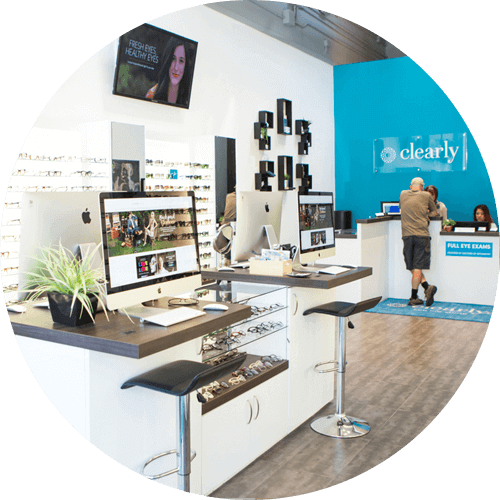 Clarify the wait time for your brand — certain lens types, including multifocal, RGP, and astigmatism/toric are custom-made orders through the manufacturer and will take longer to ship. This information can be found on each brand page, under the heading "Availability." There should be an expiration date listed on your contact lens prescription, set by your eye care professional. In most regions, your prescription expires after 1–2 years. If you cannot find this information, we recommend speaking directly with your doctor. To update your prescription and renew the expiry date, we recommend that you see your eye care professional for a refreshed eye exam. Our Contact Lenses by Subscription program allows you to set a recurring delivery schedule for your prescribed contact lenses that you can change or cancel at any time. You'll have the option to select this program while placing your contact lens order. Learn more about Contact Lenses by Subscription. Your wait time depends on your lens type. Some products — including toric/astigmatism, RGP, and multifocal lenses are custom orders through the manufacturer. Production times are listed on product pages under the heading "Availability." Once your contact lenses are in stock, they should be shipped within 1–2 business days and will arrive within the time estimate provided by your chosen shipping method. Ground shipping through Canada Post takes 1–2 business days for delivery. Ground shipping through Canada Post takes 1–2 business days for delivery, except in remote areas. How long will it take for my non-prescription sunglasses to ship? Non-prescription sunglasses will ship within 1–2 business days of your order being placed, provided there are no prescription products in your order. They will be shipped using your chosen shipping method. When your order ships, you will also be sent an email confirmation which includes a tracking number and instructions for how to track your order online. Your order will remain trackable within 30 days of the ship date. Glasses & Sunglasses: Because we want you to absolutely love your new eyewear, we offer a complimentary hassle-free return policy on all orders within 14 days from the order delivery date. Returns made after 14 days are subject to a restocking fee and are accepted up to 365 days from your delivery date. Contact Lenses: We want you to be happy with your order, so if anything is less than perfect we accept returns for contact lenses within 30 days from the order delivery date. Contact lens boxes must be unopened, unmarked, and unused. How do I return my glasses and/or sunglasses? To make a return or exchange, simply contact our Vision Care Team within 14 days of the delivery date for a complimentary electronic shipping label and instructions for mailing your product back to us. Once you have printed the shipping label please place your returning items in the original package or another sturdy box. Make sure the return label is clearly visible. We ask that you ship your glasses back to us as soon as possible to initiate your refund. 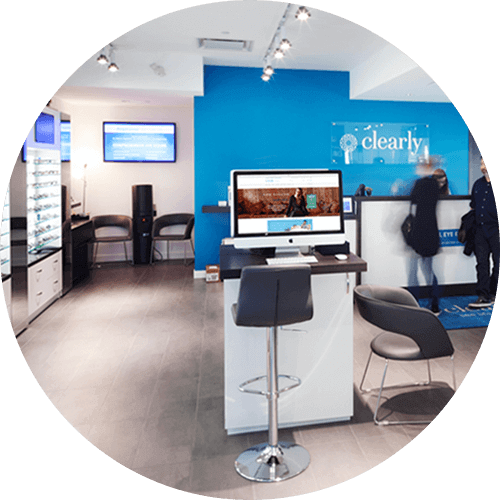 To return your contact lenses, simply contact our Vision Care Team within 30 days of the delivery date for a complimentary electronic shipping label and instructions for mailing your product back to us. Once you have printed the shipping label please place your returning items in the original package or another sturdy box. Make sure the return label is clearly visible. We ask that you ship your contacts back to us as soon as possible to initiate your refund. After initiating your return with our Vision Care Team your applicable store credit and/or refund will be applied back into the original account 1–2 weeks after the order has been received and processed at our facility. You will be notified via email when your return has been processed and when the refund has been completed. Yes! 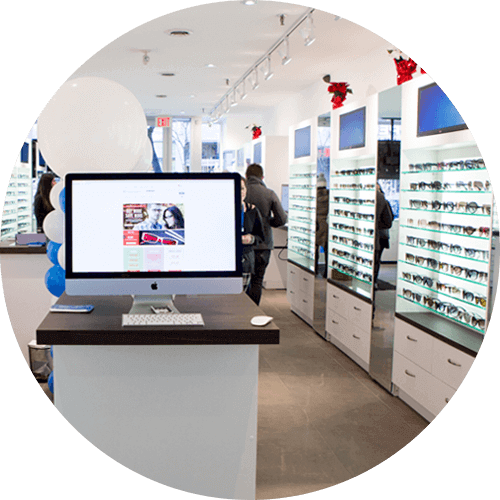 Once you have initiated a return for your original order, our trained Vision Ambassadors would be happy to help you find a fantastic new pair of glasses. Our Vision Ambassadors will walk you through the process of finding the right size, style, and fit for you. Our Vision Ambassadors are trained and supported by our in-house licensed optician to ensure that your glasses lenses will be tailored to fit your frame and prescription needs. How does ASAP Delivery work? Input your prescription, add to cart, and we'll confirm your product's availability. Enter your address and we’ll confirm your location’s eligibility. Enter your cell phone number so the courier can contact you directly. Choose your guaranteed arrival timeframe from the delivery options listed. Complete your order and we’ll get your contact lenses out to you. Make sure that someone is at your apartment or office to sign for delivery. Remember to keep your cell phone handy: the courier will contact you if they need to reach you during delivery. If shipping to your home, the courier will deliver in person or leave the order in a secure location at their discretion. Why am I ineligible for same day ASAP Delivery? While we’re hoping to expand this service, at the moment ASAP Delivery is only offered in the cities of Vancouver, New Westminster, and Burnaby. Not all postal codes are eligible. Once you enter your postal code in our system, we can confirm eligibility. Ineligible postal codes will be remove ASAP Delivery from the shipping options. Not all contact lenses are available in stock. Toric (for astigmatism), multifocal, RGP, and other specialty lenses are a custom order through the manufacturer and cannot be shipped on the same day they are ordered. Occasionally we will temporarily run out of stock on a particular prescription for an in stock contact lens product. If this happens, you will be removed from the ASAP Delivery service as we will need to order this product directly from the manufacturer before we can ship it to you. ASAP Delivery is only available for in stock items. Products that require assembly, such as glasses, cannot be shipped on the same day they are ordered. At this time ASAP Delivery is not available for orders over $500. We recommend signing in as soon as you visit our site to save your favourites, and quickly access your saved prescriptions, payment, and shipping information. We are happy to offer our LiveChat services 24 hours a day, 7 days a week. You can also call us at 1-866-414-2326 or reach us through the Help contact form. The lower-priced online merchant must have the product currently in stock, the product listed must be identical (including number of lenses per box), and must be an established site as determined by Clearly. You will find the link in .pdf format to our policy on Accessibility for Ontarians with Disabilities Act (AODA).